Umi no Nakamichi is a thin strip of land connected to the mainland, situated practically in front of the bay of Fukuoka and its harbor. This area is connected, via a bridge, with the island of Shikanoshima, to the west. 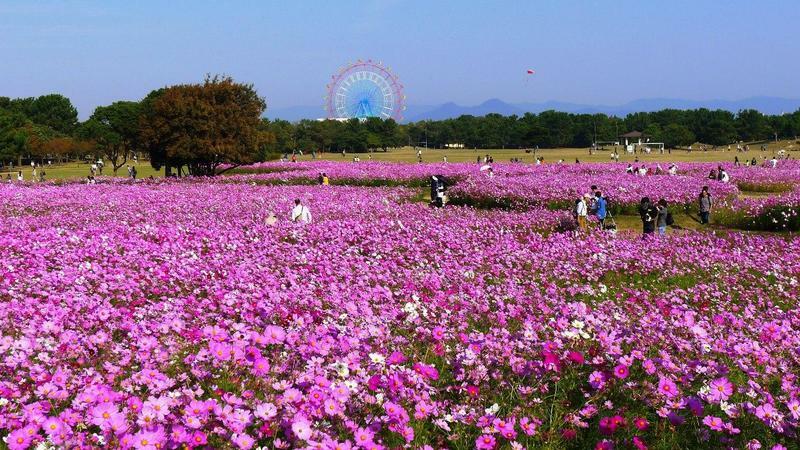 A huge park, inside which numerous species of trees, plants and flowers bloom throughout the year, including 2000 cherry trees. There are also a number of playgrounds for children, a small zoo, an amusement park with a Ferris wheel, and during the summer months also a water park with six swimming pools. The park is so large that it is very difficult to explore it entirely on foot, but at the entrance you can rent bicycles (700 yen for the whole day) and there are also little trains running continuously around the park (day pass 500 yen). It is a park aimed primarily at families living in Fukuoka and surroundings that want to spend half a day of leisure with children, this place is rarely visited by tourists. However, at the entrance you can get a map of the park also available in English, that can be downloaded also from here. 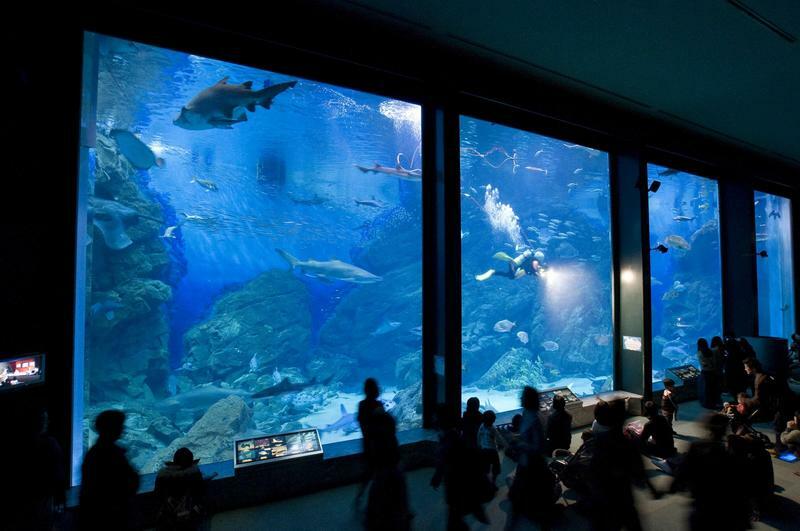 An aquarium located near the Seaside Park, a few meters east of Uminonakamichi station. Little to say about this aquarium, nothing more nor less interesting than many other aquariums in Japan and around the world. 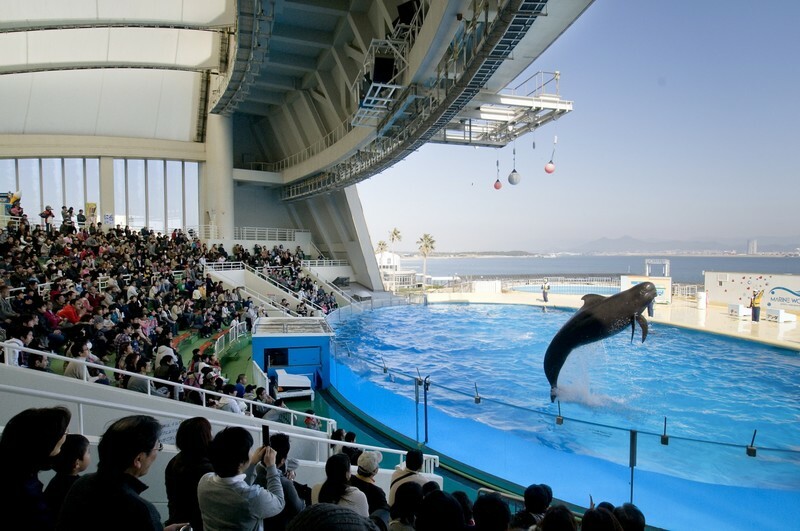 Inside there is also a large arena where to watch shows with dolphins and sea lions. In the vicinity of the park there is a luxury hotel, The Luigans SPA and Resort: a large resort with swimming pools, restaurants, spa treatments and other leisure opportunities, an ideal place to spend a relaxing weekend. 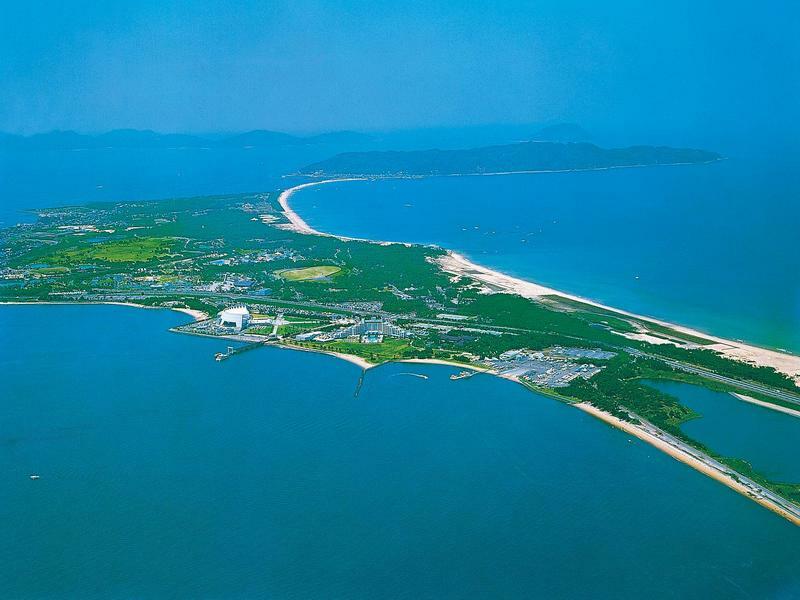 Uminonakamichi is, as the crow flies, virtually located in front of the city of Fukuoka, separated by a stretch of sea, but to the east it is connected to the mainland. You can get to Uminonakamichi by train or by boat. Uminonakamichi station is located a few meters from the aquarium and from one of the park entrances, and it is served by the JR Kashii line. If you come from Hakata station, to take this line, you must first change at Kashii station through the JR Kagoshima line (for a journey of about 40 minutes, 460 yen). -a line operated by the Fukuoka Municipal Ferry Service connect the pier of Uminonakamichi (officially the destination is called Saitozaki) with Hakata port (further information here); -the Uminaka Line operated by a private company (Official website in Japanese) connects Uminonakamichi with the Momochi Seaside Park.